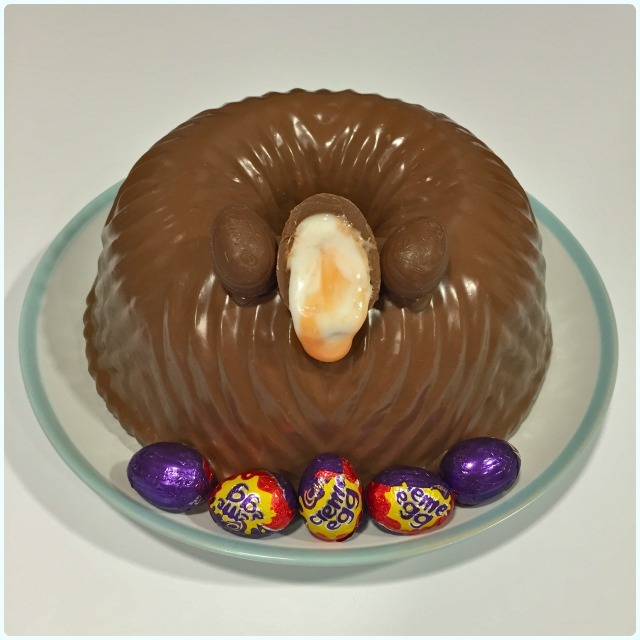 I've intended making this cake for the last couple of years, mainly because I was so bloody curious as to what would happen to a Creme Egg when baked in a bundt... Would it melt? Would it cause a big vacuous hole in the cake? Would it end up a big sloppy mess at the bottom of the tin? Would it kill me if I never tried it? You know I had to. So I watched it. 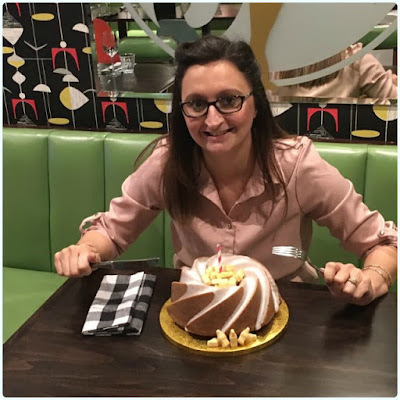 Every fifteen minutes or so, that sly-girl look into the oven and a sigh of relief that it hadn't exploded, or erupted into a volcano of molten fondant. Then when it was out, I was fully expecting it to be adhered to the tin like superglue. None of these things happened. In fact, it released like a dream. But then I had to wait until the morning after to find out what was appertaining inside the cake. 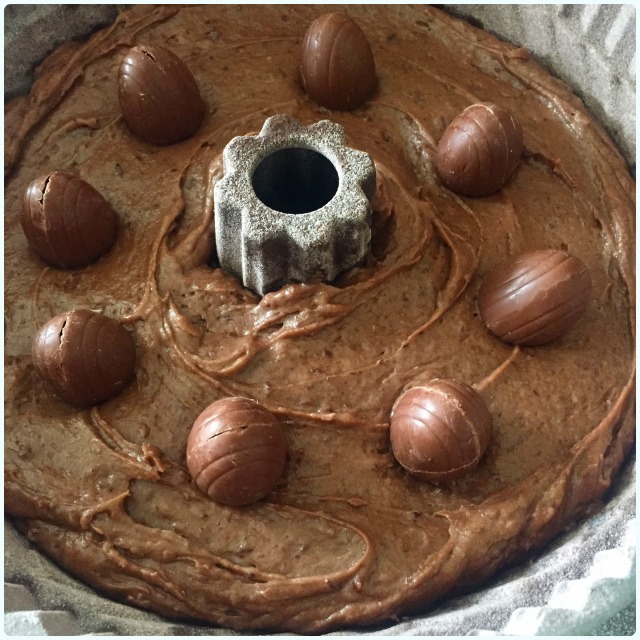 Poke in the mini creme eggs, ensuring they are well covered. When the cake is fully cool, pop the Cadbury's chocolate spread into a jug and heat in the microwave for around 20 seconds to loosen it. 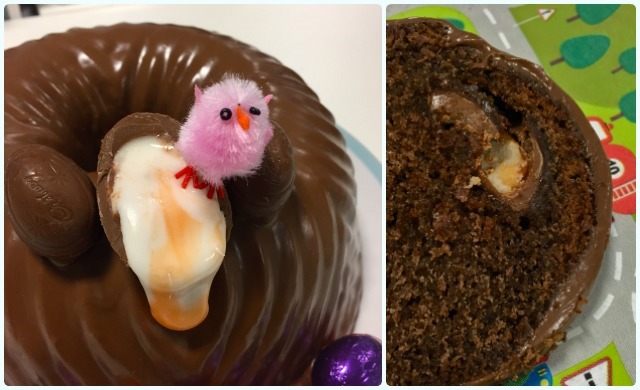 Tip over your cake and decorate with Creme Eggs and a little Easter naffness (optional). I get a lot of requests to review cookery books and to generally get involved with foodie related escapades. 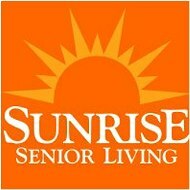 When I initially saw the email from Sunrise Senior Living, I initially thought it was jumping the gun a bit; I'm a tad young to be thinking of senior living! However, I took the time to have a look at the website, and loved what they were doing. Sunrise Senior Living has launched their annual Taste of Sunrise to showcase the homemade meals served in their care homes every single day. They’ve launched a new recipe book with signature dishes designed by Michelin star chefs, which look pretty tasty whatever your age. 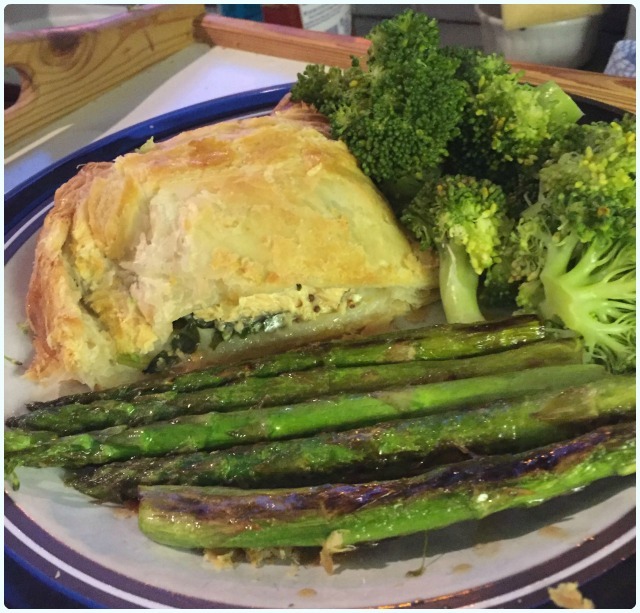 I adore cooking, and have created a tradition of dedicating my Sunday afternoon to preparing a new recipe each week. When Rach asked me to have a look at the Taste of Sunrise recipes, I was intrigued. Sunrise Senior Living's annual Taste of Sunrise takes place 5th-13th March, giving an opportunity for the public to meet the staff, taste the lovely food, have a tour, and take a copy of the book home. With this in mind they have released some of their favourite recipes, designed by Michelin starred chefs. The meals are nutritionally balanced, created to maintain residents' interest in food, and ensure dietary requirements met. As well as doing all that, they have chosen some absolute crackers. After much deliberation, I had a plan. I decided to treat my beloved to a Sunday tea of French Onion Soup followed by Salmon and Spinach Wellington. 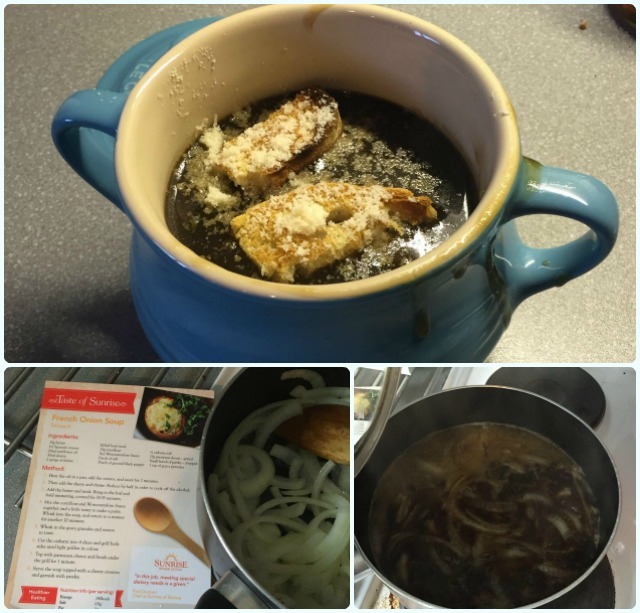 I prepared the soup earlier in the afternoon; the recipe was simple and clear, the result was a rich and velvety soup which went down a storm. Leftovers were just as good today. 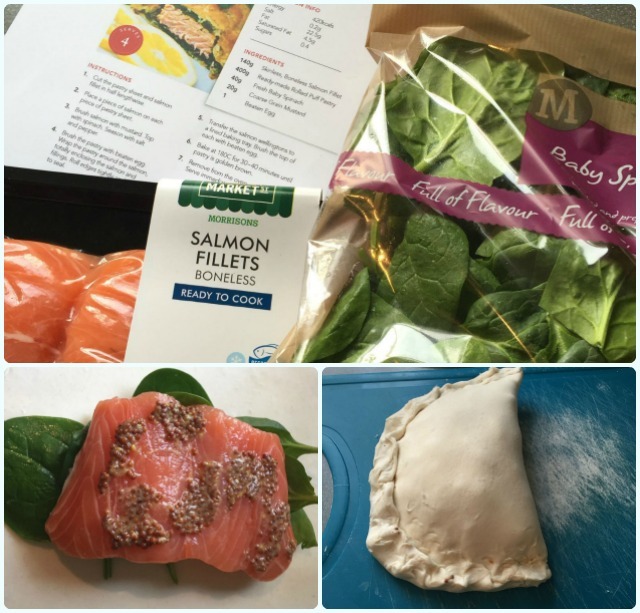 I was very excited about the Wellington, as salmon features rather heavily in our diet, and I am always looking for new ways to prepare it. Again the recipe was easy to follow, and despite one small issue (me forgetting to put the spinach in, and having to open the pastry up again), the end result was fabulous. I am now plotting the Winter Beef Stew and Bread and Butter pudding for next weekend. Thanks for sharing your delicious recipes Sunrise, your residents are very lucky indeed! The nearest participating care home is in Bramhall, Stockport. It was the name, I'm a sucker for a good name. Back in January, we had a little trip to York for my homie's birthday. 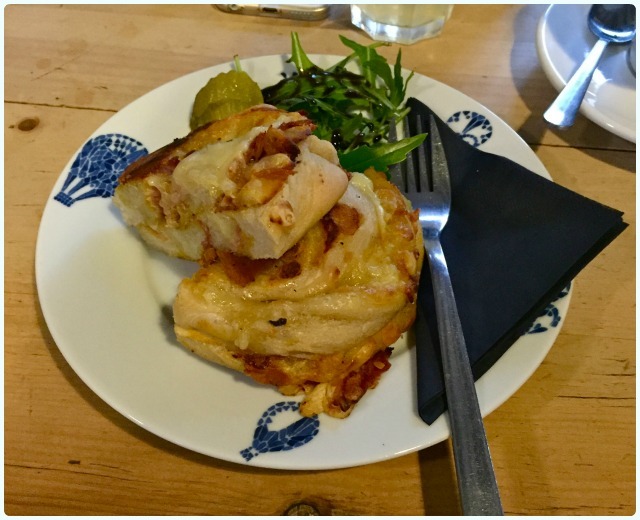 The best part of our food fuelled trips away is the prior investigation into ace little places, who are doing their city proud. I love the internet searches, reading reviews and ranting at that one bitter loon on Trip Advisor. Cue The Perky Peacock. 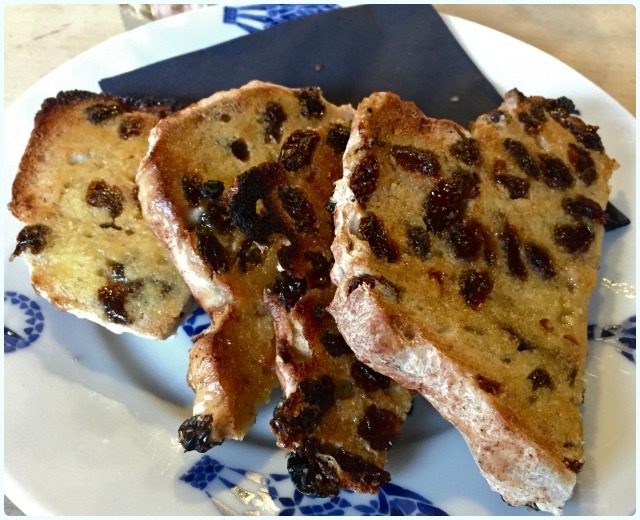 We were already booked into The Star Inn the City for a late lunch, so the plan was a bright and early breakfast to keep us going until then. Sat in a Medieval stone tower on Lendal Bridge, The Perky Peacock boasts some of the beast views in the city, overlooking the picturesque River Ouse. Of course, it was lashing it down when we went, but this made the cosy little dining room even more inviting. The menu isn't massive, but covers some lovely little day starters and a wonderful array of hot drinks too. It has a nice vibe, and you get the impression that this is very much someone's labour of love. The site on Lendal Bridge (there's one on Gillygate too) is teeny tiny, with just a handful of tables. Cinnamon and raisin bagel: No hole, who cares? Even the onslaught of heinous throat ravaging tonsillitis didn't stop me devouring this gorgeous item. Cinnamon has healing qualities, right? Croque monsieur: Just behold; take a second. My mouth is watering like some kind of cheese pervert. Good choice Lee. 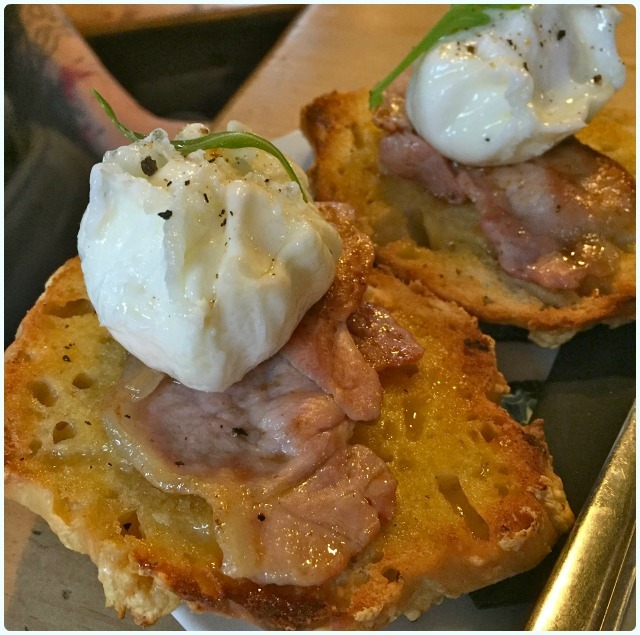 Poached egg and bacon on a cheesy muffin: The choice of the boys. Butter soaked, chunky cheese muffins, topped with bacon and egg, and a little black pepper. The perfect start to a cold day where your jeans will inevitably end up drenched. 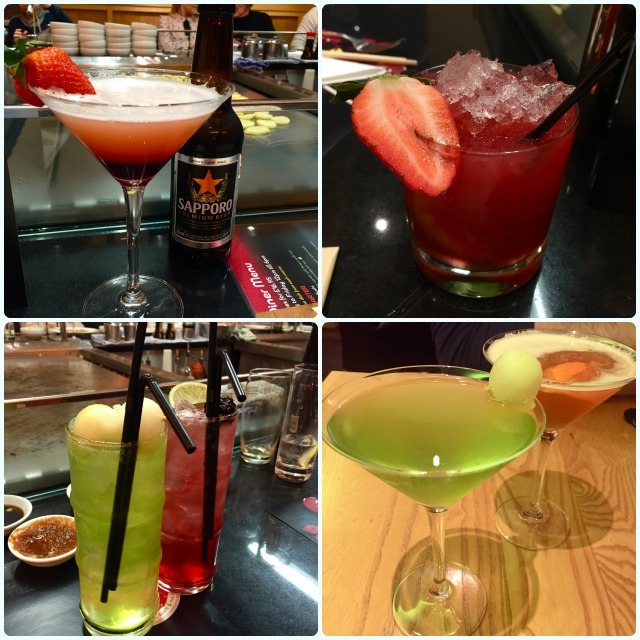 Forgive me for being rubbish and forgetting to take pictures of the other drinks, but I was too busy necking painkillers at that point. 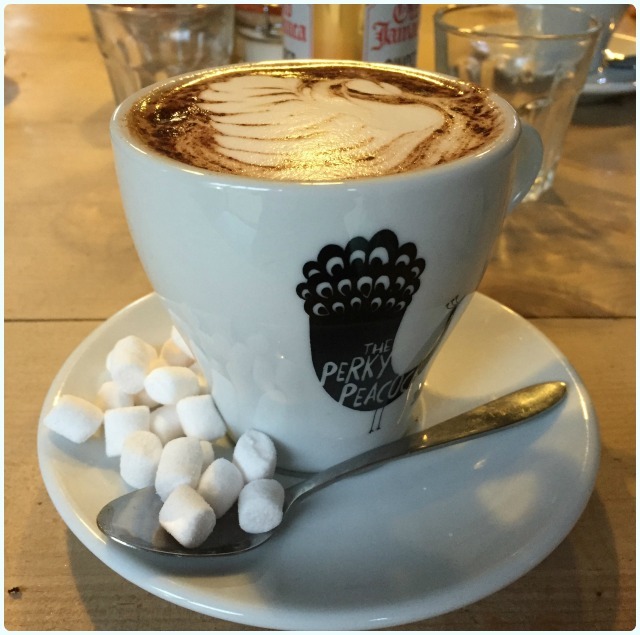 The mention of a soothing hot chocolate with marshmallows did perk me up a little though. 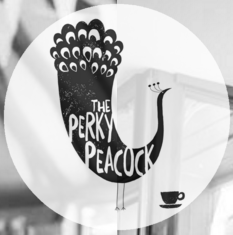 Although The Perky Peacock appeared to do a roaring trade on take out breakfast items, I urge you to go and spend a little time in here if you can; read a paper, natter with your friends, or just sit and eat their lovely bread items all day long. 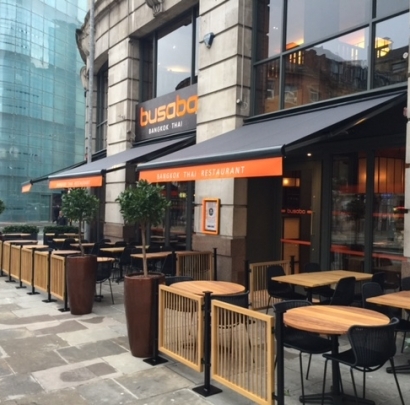 Thai food has become one of my new faves in recent months, so when Busaba recently opened in Manchester's Printworks, it went straight on 'the list'. We've had a bit of a flurry of exciting new restaurants over the past few months, so I only got round to sampling Busaba a few weeks ago. First thing's first, I shall address the elephant in the room for anyone over the age of 25 who knows Manchester. Yes, it's in the Printworks, but no, it is not chavtastic in any way. 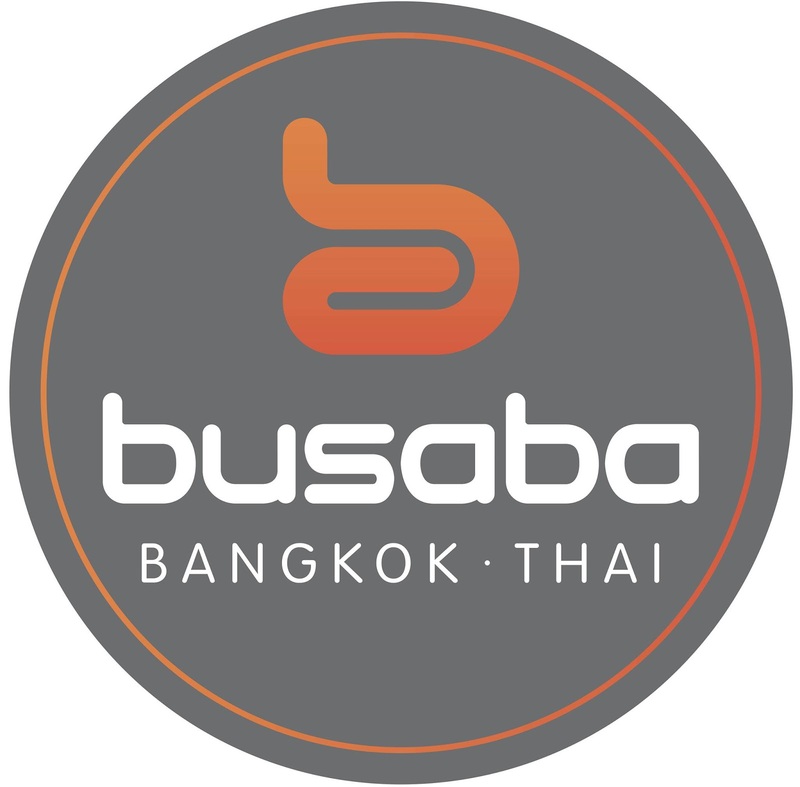 You don't even need to enter the building to get into Busaba. It's right on the edge and is accessible from Withy Grove. There, all sorted. I shall continue. So then, it was chuffing freezing with that fuzzy rain that soaks your face, and the kind of wind which makes you question why you left the house. 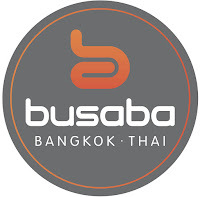 We were blown through the door of Busaba by one particularly ferocious gust, and it was all okay again. It was warm and the smell of delicate incense sticks perfumed the restaurant. I knew everything was going to be just fine. 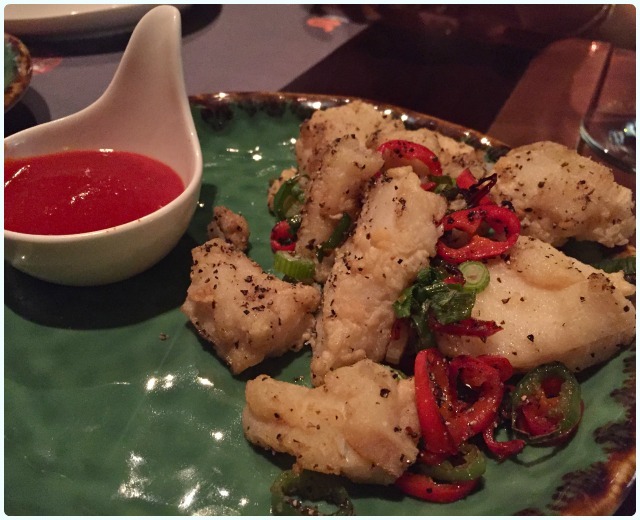 Salt and pepper cod - lightly battered cod fillet, chilli and Sriracha sauce: That's right, I'm kicking off with fish... the life long fish hater has gone rogue! Although I didn't order this, I knew I was snaffling some after a show of recent fish bravery at Ning. You know what? Delicious. Really delicate with a gentle heat from the cracked black pepper. Fish fan. 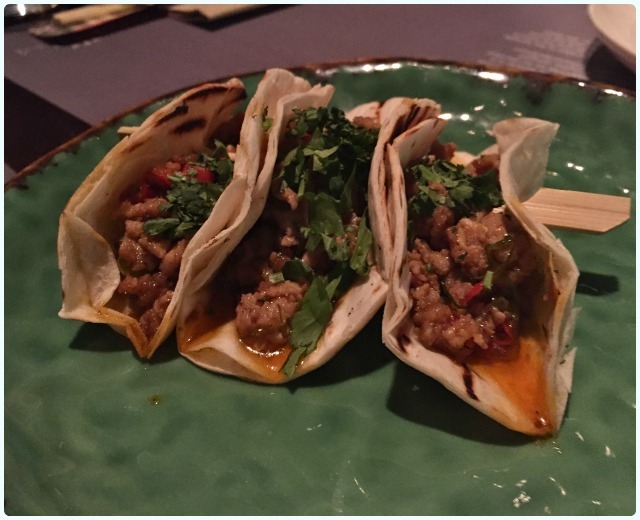 Thai tacos - spiced minced chicken in soft corn tortillas, cucumber relish: You will instantly notice the omission of cucumber relish. That's because cucumber is vile, and the lovely folk at Busaba were more than happy to remove it from the theatre of conflict. These have to be the standout dish for me. The chicken is sweet with a subtle bite to it. I made a mess, but it was ok.
Thai calamari - ginger and green peppercorn: Sweet Jesus, this is gorgeous! It tastes a bit like sweet popcorn. 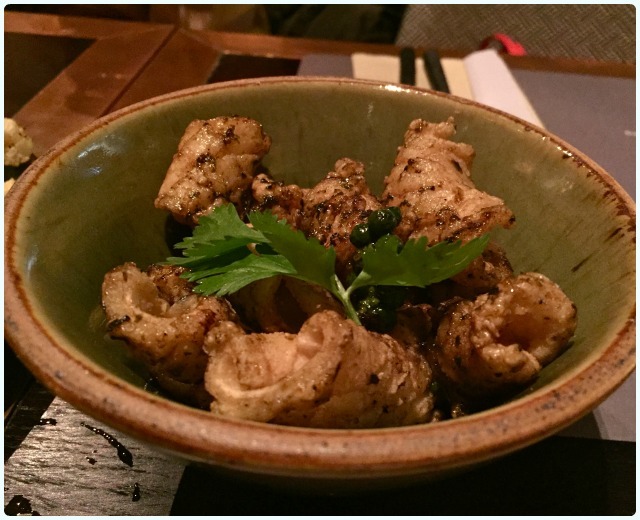 Don't be put off if you generally don't like the texture of calamari, as this is nothing like rubber! 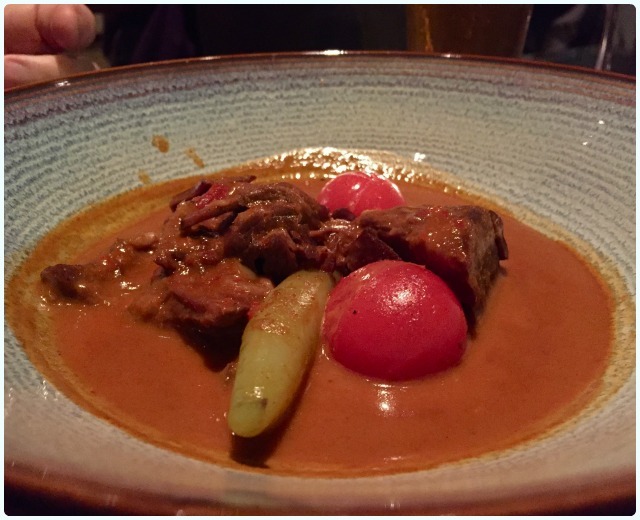 Songkhla red curry - slow-cooked beef, cherry tomato, banana pepper: The beef in this curry fell apart when pressed, and was delicately fragranced with warming spices. 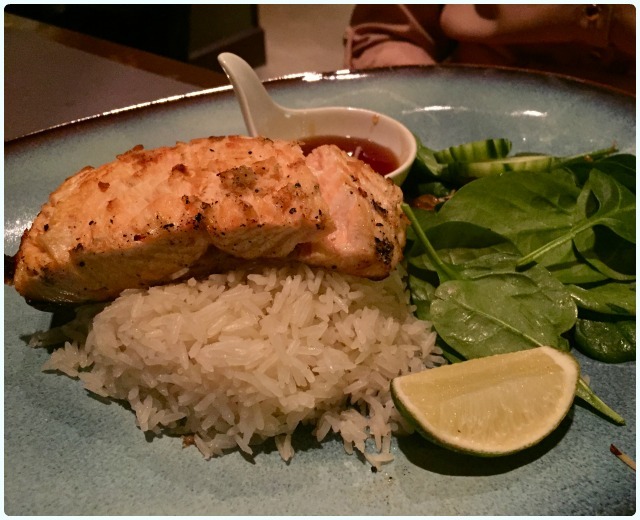 Char-grilled salmon fillet with baby spinach, cucumber salad and coconut rice: The only complaint about this dish was that it was served skin on, which I know a lot of people struggle with. Reports were that once the offending article had been removed (and hidden), this was a lovely fresh dish. 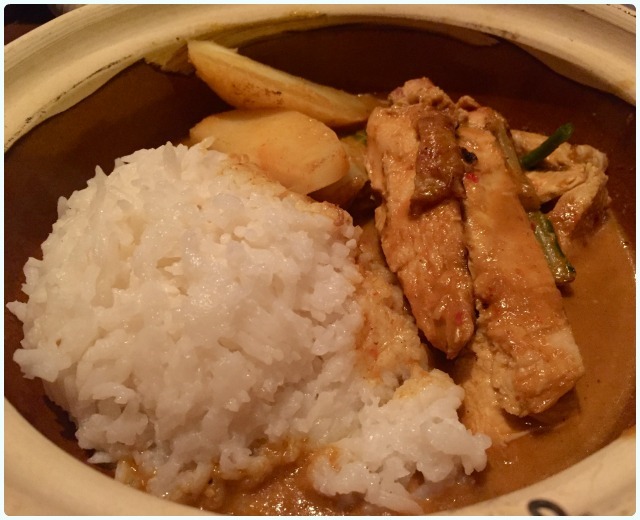 Aromatic chicken curry - potato, cucumber relish and jasmine rice: This was my choice. I love that sticky jasmine rice so very much... Sauce to rice ratio was bang on, and utterly delicious. I'd have this again without hesitation. 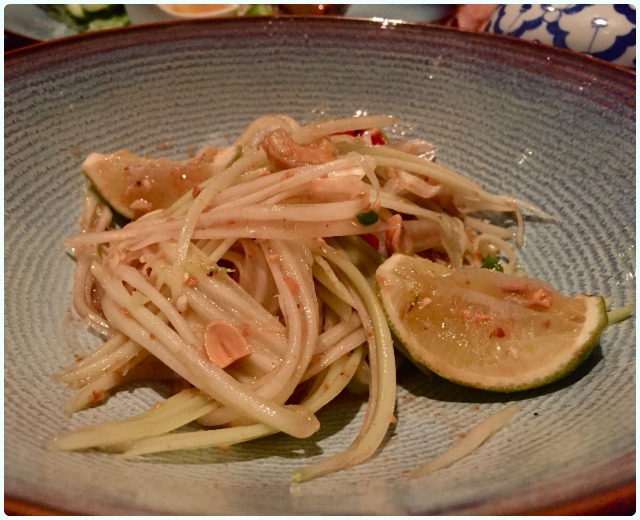 Som Tam - green papaya, dried shrimp, peanut, cherry tomato, lime: Warning... this little mama is a hot one! Not immediately, but a little while later. There she blows! It was touch and go for Tasha for a while. 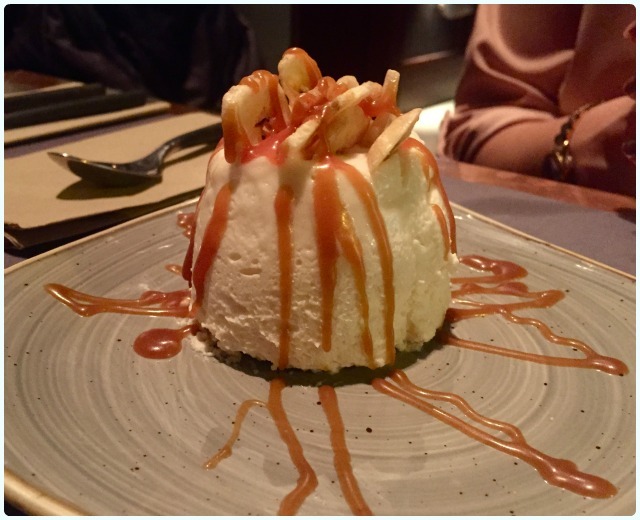 Banana mousse topped with salted caramel and banana chips: Light as a feather and not too sweet. Chocolate fondant served warm with coconut ice cream and chilli chocolate sauce: The original order was ice cream, but this appeared instead because the freezer was acting up (note the presence of ice cream... I know). 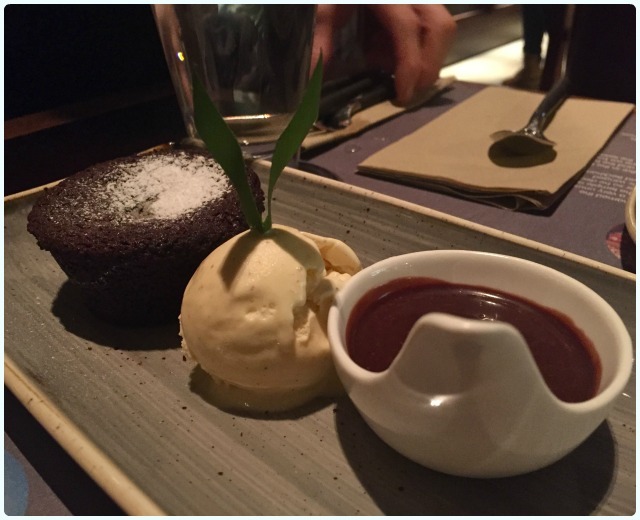 However, this was a happy little accident, as it turns out the chocolate fondant was rather lovely. 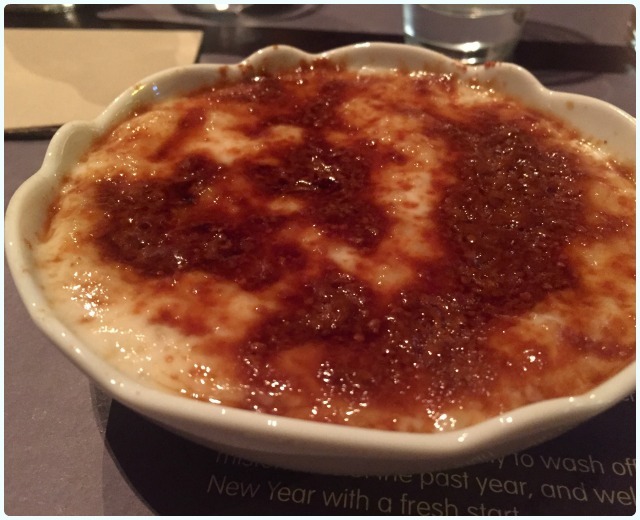 Coconut rice pudding topped with palm sugar caramel: Winner! This was my dessert, but like an utter lightweight, I managed about two spoonfuls. It was gorgeous, but I'd already been crowned Pig of the Week. The other two didn't even manage to finish it between them after abandoning their own desserts in favour of this! What a little belter Busaba was. I was fully expecting it to be a bit like a Thai Nando's, but I have to say, I was pleasantly surprised. The food was really very good indeed, and our waiter was chatty without being intrusive. We had a little trouble paying via their fancy-shmancy App at the end, but it didn't spoil our experience. Go here with pals, get lots of little dishes, and gorge yourselves on their lovely food. 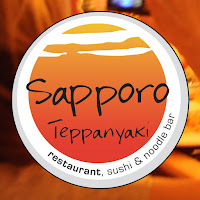 A couple of years ago, all my friends were recommending Sapporo Teppanyaki. This fell on totally deaf ears, as I was going through my awkward decade of insisting that I hated all fish. Granted, salmon still gives me the creeps, but it turns out that some cat scraps are actually very nice indeed. Furthermore, Sapporo Teppanyaki does all sorts, not just fish as I had originally dreamt up. We went on a random weeknight before a gig, so expected it to be really quiet. Nope, half term was in full swing, and we were sat at one of the large communal style tables with lots of children and a work's do. Turns out the children were the best behaved of the lot! We were a little flummoxed by the huge menu, so opted for banquet style stuff, meaning we got to try a little bit of lots of goodies. First thing's first though, drinks were promptly offered and ordered. Please note, these were not all consumed in one go, yet I'm confident that had that been required, we would have fared well. Saké’tini - Saké, infused with Chambord black raspberry liqueur, strengthened with vodka, then topped with fresh pineapple juice: Seemed rude not to sample something Saké based to begin with. Word of warning, you may think it just tastes like fruit juice, but it gets stronger as you drink. Very pleasant little number though. Sapporo Japanese Beer: There aren't a huge amount of beers on the menu, but at least they had something Japanese which complemented the food. Senji Caiprina - Saké with strawberry puree, strawberry, sugar, fresh lime and strawberry liqueur: I could drink these all night. Tokyo Ice Tea - A blend of vodka, Bacardi rum, Gordon’s gin, tequila, Midori and Cointreau, finished with lemonade: I liked the sound of this because it appeared to have all the spirits in it. Even the melon balls were infused with the booze! Grateful Dead Iced Tea - Premium vodka, white rum, gin and Cointreau shaken with lemon and lime: My cocktail drinking homie polished this off pretty quickly, so I can only presume it was a success! Nihon Hiji (Japanese Elbow) - A twist of saké, tequila and Midori with apple juice, a dash of lemon and touch of salt: I imagine too many of these could kill you off! Pretty strong but with a decent tang. Suntory Old Fashioned - Hakushu whiskey aged for 12 years blended with Cointreau, aloe vera, agave and orange: This was recommended by our waiter, who insisted we try a cocktail with Japanese whiskey in it. They are noticeably stronger than the fruity ones. Gee whizz. 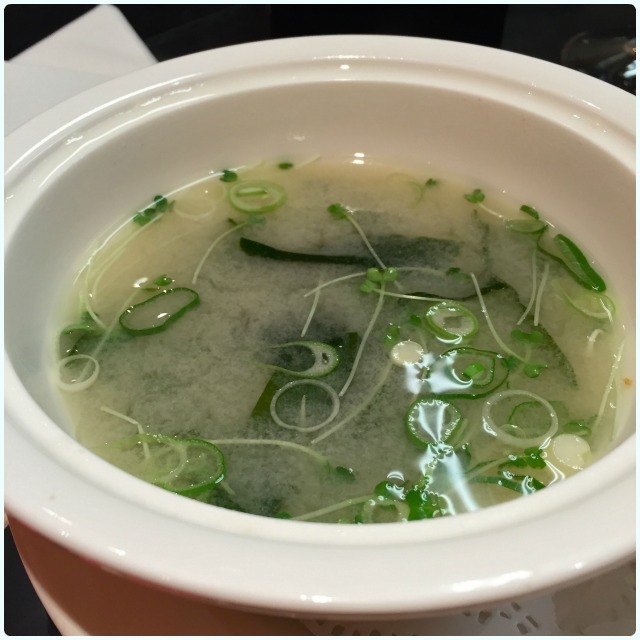 Miso wakame soup: I can't help but get the Mighty Boosh 'Soup' song in my head whenever I read 'miso'. Check it out. This was a refreshing spring onion broth served with one of those slightly awkward spoons, which somehow adds to the overall experience. 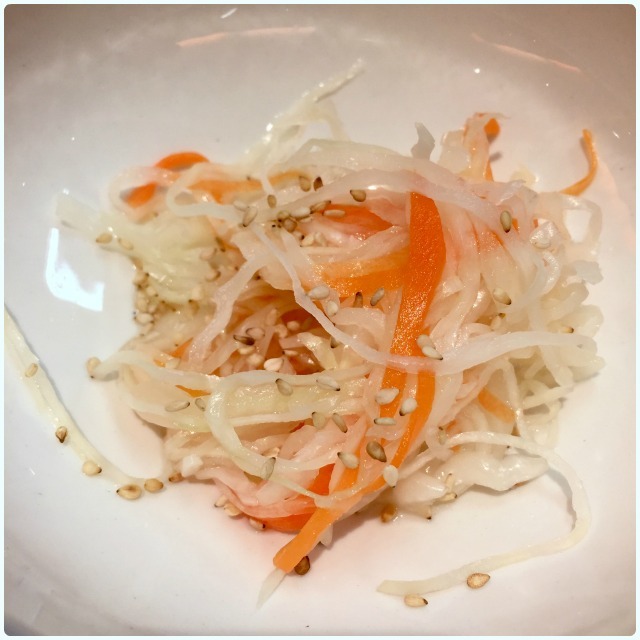 Namasu salad: I cannot say enough nice things about this. I want all coleslaw style dishes to taste exactly like this, from this day forth. Crunchy, sweet, tangy and wonderful. 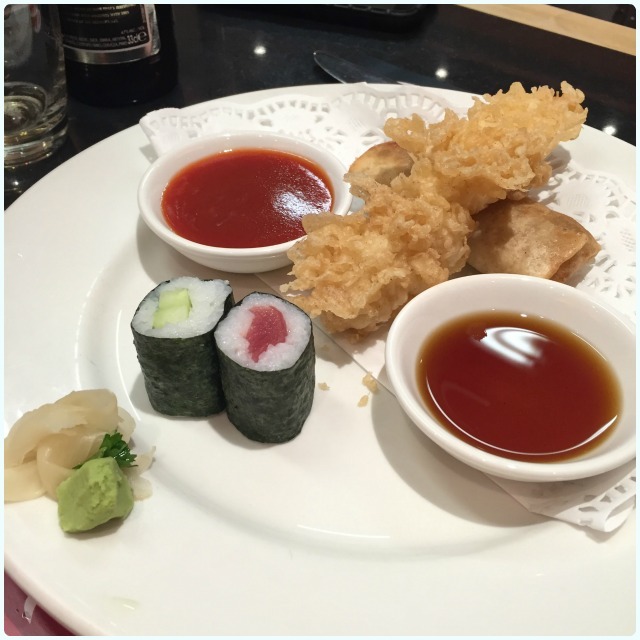 Vegetable spring rolls, prawn tempura and maki sushi: That prawn tempura made me angry that I was such a fish-o-phobe for so long (yes, totally made up word). It was heaven when dipped in soy sauce. 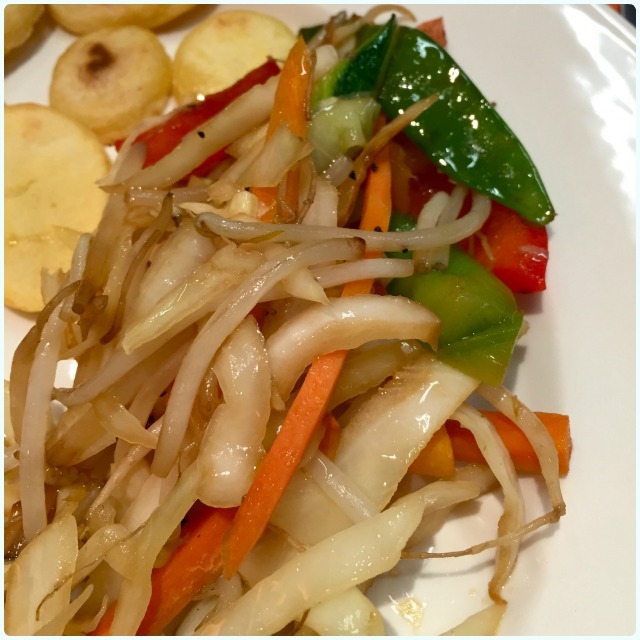 Grilled vegetables and sapporo sauteed potatoes: These had been sizzling away on the grill whilst we ate. Oh my word, this may look like a pile of veggies, but they were amazing! Again, that sweet crunchiness that I was previously unfamiliar with, which got sky rocketed to my 'what could you just have?' list. I have to note here that the chef's game of throwing potatoes into diners' mouths is not for me. I was the cacked handed frigger who 'gracefully' caught one on my top, and batted the other at the children sat to my left. My dining buddy caught his first time with no warning. I think he'd been practicing. 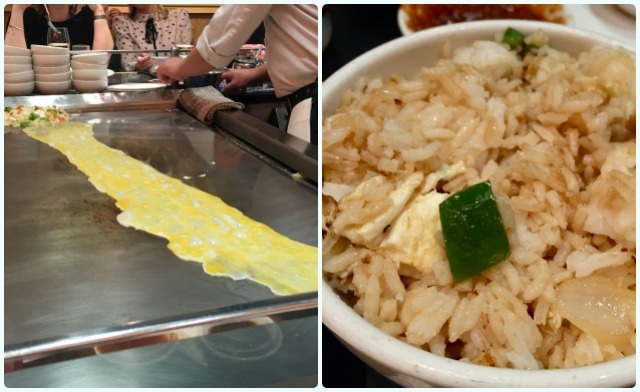 Egg fried rice: Preceded by a show of egg-throwing-about skill by Ninja, this was made on the grill in front of us. Hotter than the surface of the sun, but so much better than the stuff in a sweaty tub from your local takeaway. 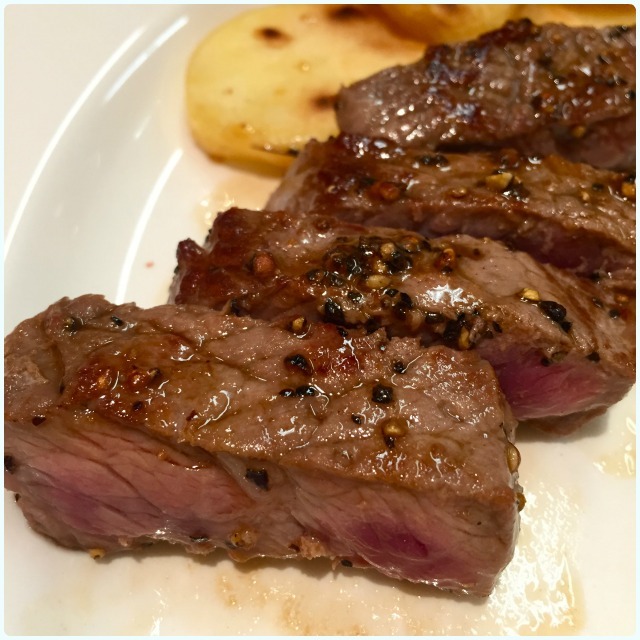 Beef sirloin and beef fillet: No exaggeration, the steak was out of this world. I was getting really full by this point, but managed quite a bit. We were asked how we wanted it cooking too, so it was utterly perfect. I've starred longingly at this picture several times since. 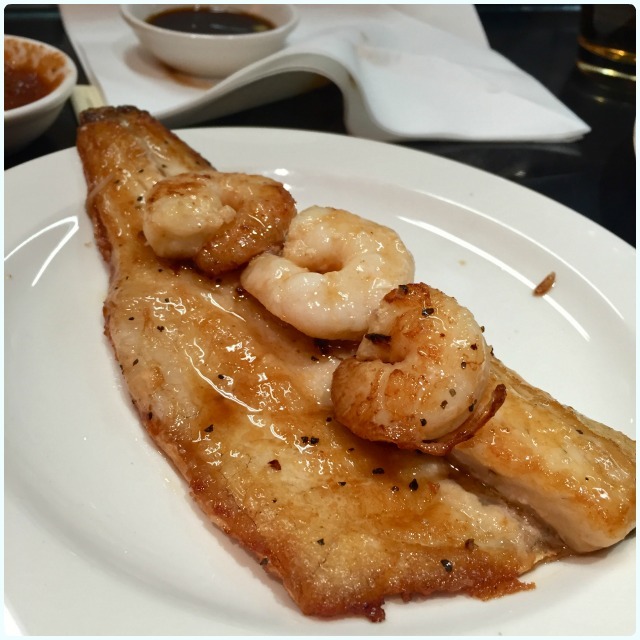 Sea bass and king prawns: Both from the sea, both gorgeous. I'm a total convert now. 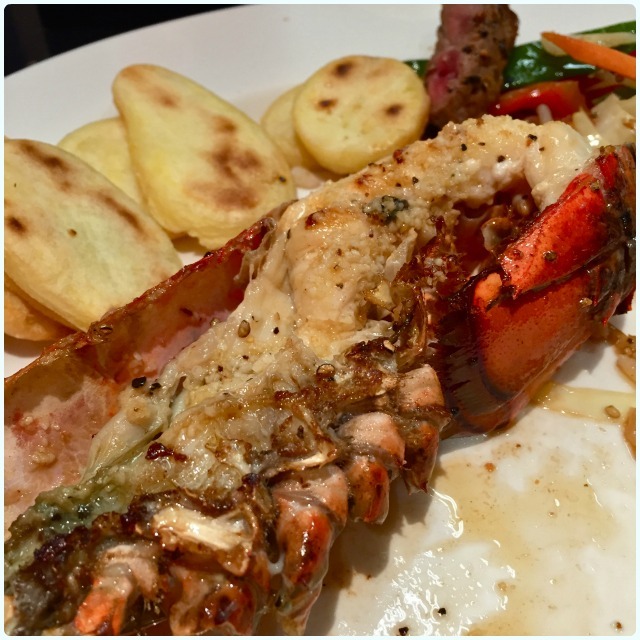 Half lobster: Looks like hell, tastes like heaven. I always insisted I could not eat anything with a face, so I just didn't look him in the eye. Really buttery and sweet, with a lovely soft texture. 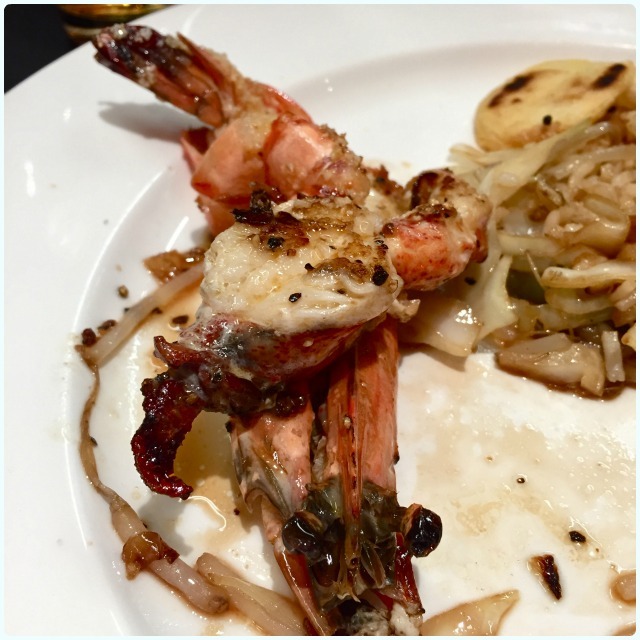 Jumbo prawns: I didn't try the prawns, only because I was verging on not being able to move. I was assured that this was also delicious and beautifully cooked. 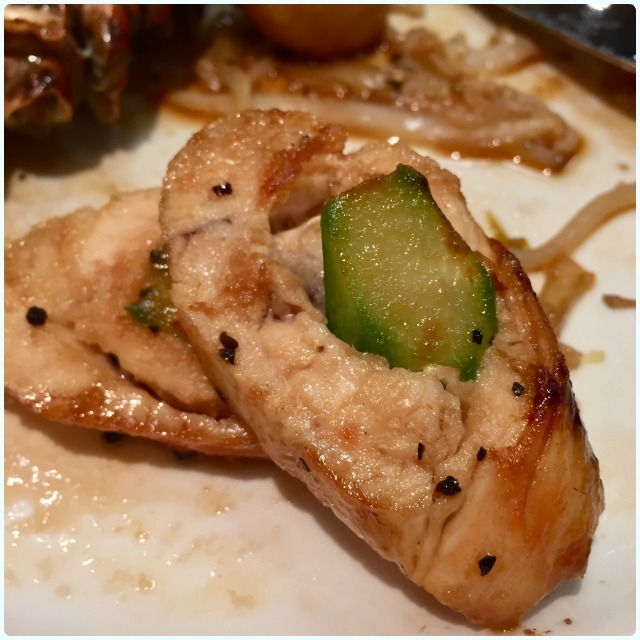 Chicken fillet with asparagus: I know I'd sort of declared myself out of more food, but this was too good! Smoked chicken wrapped around asparagus and cooked over that lovely grill. 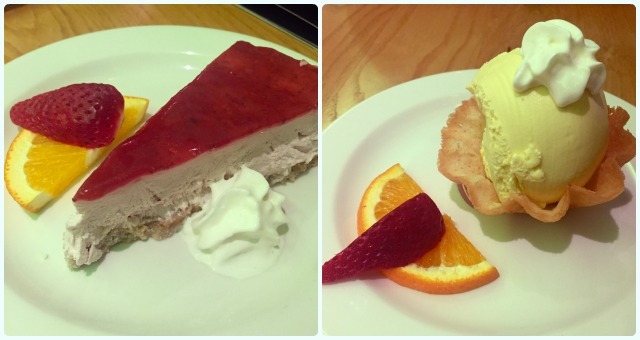 Strawberry cheesecake and P&D deli ice cream: The cheesecake was the only dish that we weren't overly keen on. The base was a little soggy and the cheesecake lacked flavour. However, brownie points were regained for the old skool ice cream basket. It would be nice to see some traditional Japanese desserts as menu choices. The cocktail menu isn't huge, but the ones they offer are well considered Japanese versions of classics, with a few signature brews thrown in for good measure. We were big fans of the live cooking, and the grill which seemingly turned meat into little pieces of heaven. One tip though, leave the drinks menu with the diners; we kept having to ask for ours back. I would highly recommend the banquet style if you're unsure what to order. 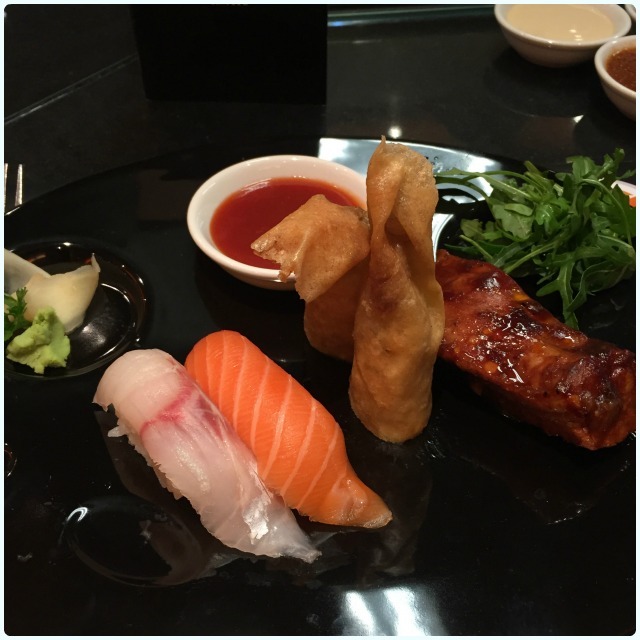 I tried some wonderful things that I would never have dreamed of ordering if picking from a menu. I think Sapporo is best visited in a big group, where the theatre and communal seating arrangements can be fully taken advantage of. Disclaimer: I was invited to Sapporo Tappanyaki to sample the food and drinks, however I was under no obligation to say nice things. Likewise, they did not force me to eat fish, however they didn't give me any warning of low-flying potatoes. You're singing it too, aren't you...? Oh hardshakes, how I love thee so... I adore a good milkshake, so imagine the joy I expressed when those clever little cocktail chemists at All Star Lanes started putting booze in theirs? They do this amazing concoction called a Honey Whiskey Hardshake; a wonderful mix of thick ice cream, Jack Daniels Honey, and their home made ginger syrup. I can drink one in around five minutes, the only thing hindering my speed being brain-freeze. 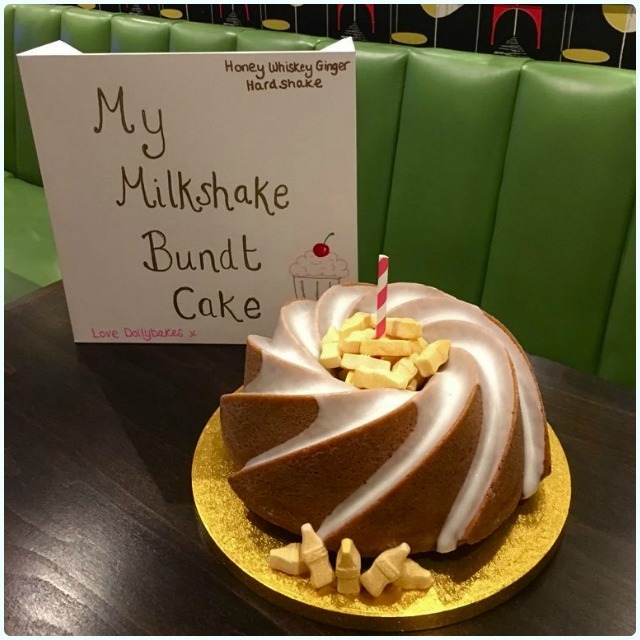 I wanted to make my friend Tasha a bundt for being an all round superstar, and this was the first thing that came to mind. Ginger and bourbon go so bloody well together. I'm just pleased that I gave this cake away, otherwise I'd have scoffed the lot with perhaps three cups of tea. It's doable, believe me. Pour the yoghurt into a jug, and add the Jack Daniels. When completely cool, mix the icing sugar with the remaining Jack Daniels and honey. Add a little water to make your icing of pouring consistency.